Main report from the McDonald & Munro Speyside Stages Rally now in the on-line mag. 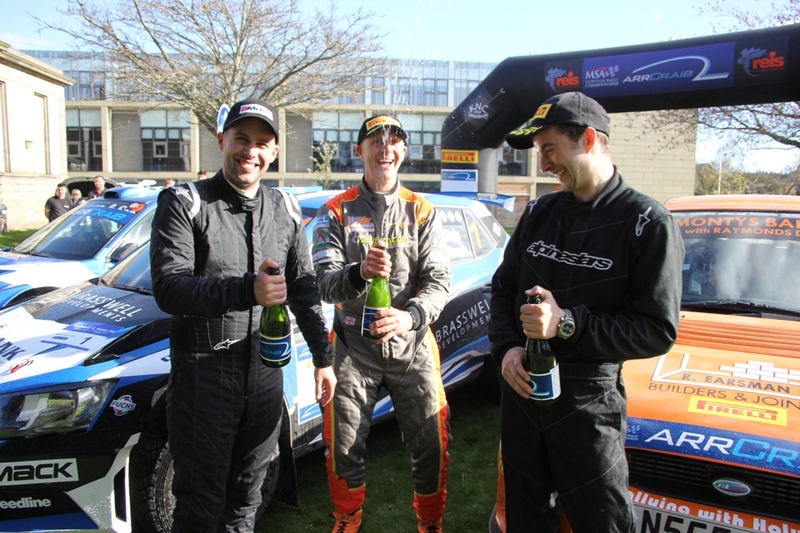 With new co-driver John Rowan, David Bogie scored his 9th win on this event and stated at the finish that it would be nice to come back next year and go for 10! 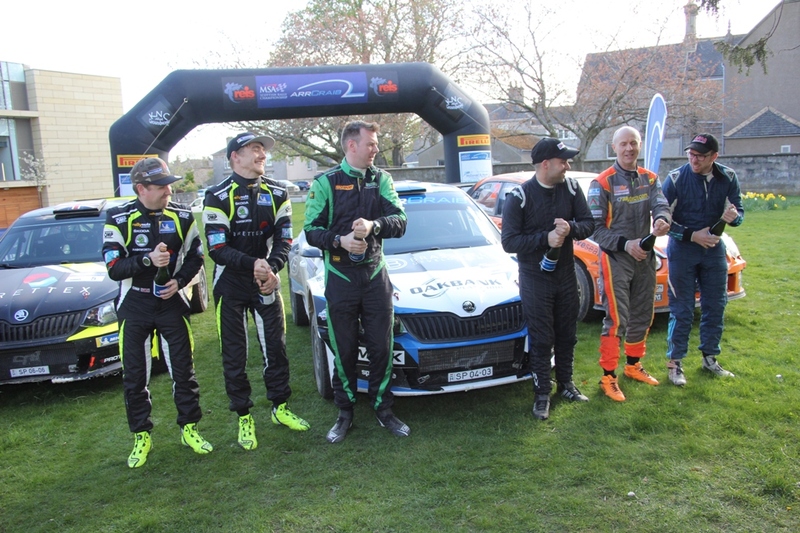 Over a minute behind in third place were CA1Sport team mates Rhys Yates and Alex Lee, but splitting the two Skoda Fabia R5s in perhaps the 'drive of the day', were Jock Armstrong and Cameron Fair in the TegSport Subaru Impreza. Oh, and the sun shone. And it was warm. So warm in fact that the Struthers team legged it down to the local superstore and came back with two packs of double chocolate Magnums. Just one thing wrong with that, they were wee ones, not full-sized! Still, very welcome - and totally scrumptious. Full report here, with full class roundup to follow at the weekend.